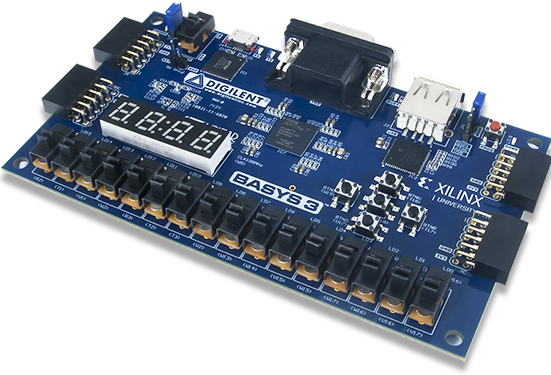 Last time, I recommended several cheap and good Xilinx or Altera FPGA boards for beginners or students. These FPGA boards are not only very affordable for students, but also provides good onboard devices such as LEDs, switches, buttons, 7-segment display, VGA, UART port, etc for beginners to practice many different basic projects. 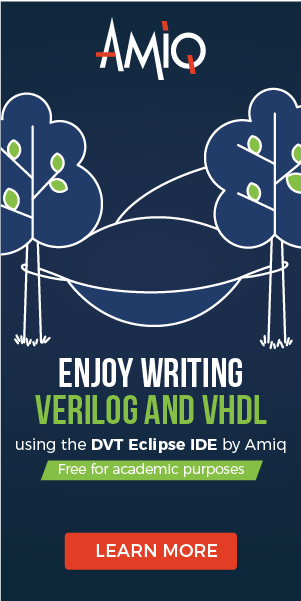 Today, I present my recommended FPGA course for beginners and students to learn VHDL design on FPGA. The FPGA course has over 3,890 students and 430 good reviews. Last time, I wrote a full FPGA tutorial on how to control the 4-digit 7-segment display on Basys 3 FPGA. A full Verilog code for displaying a counting 4-digit decimal number on the 7-segment display was also provided. 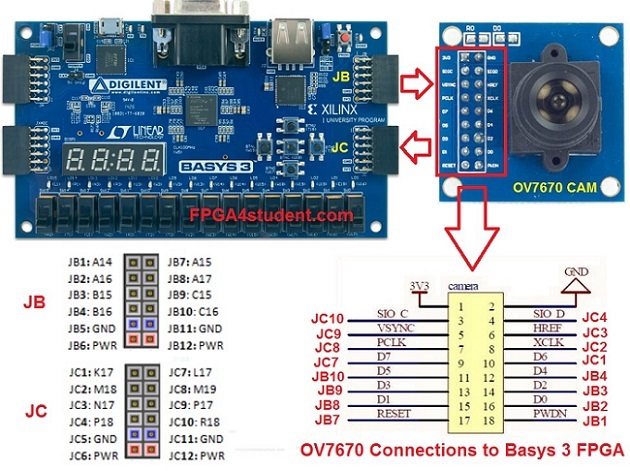 This VHDL project will present a full VHDL code for seven-segment display on Basys 3 FPGA. 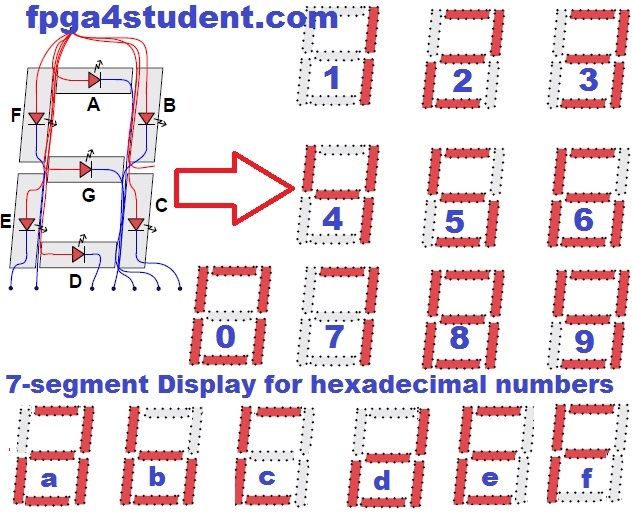 The seven-segment display on Basys 3 FPGA will be used to display a 4-digit hexadecimal number which is counting up every 1 second.